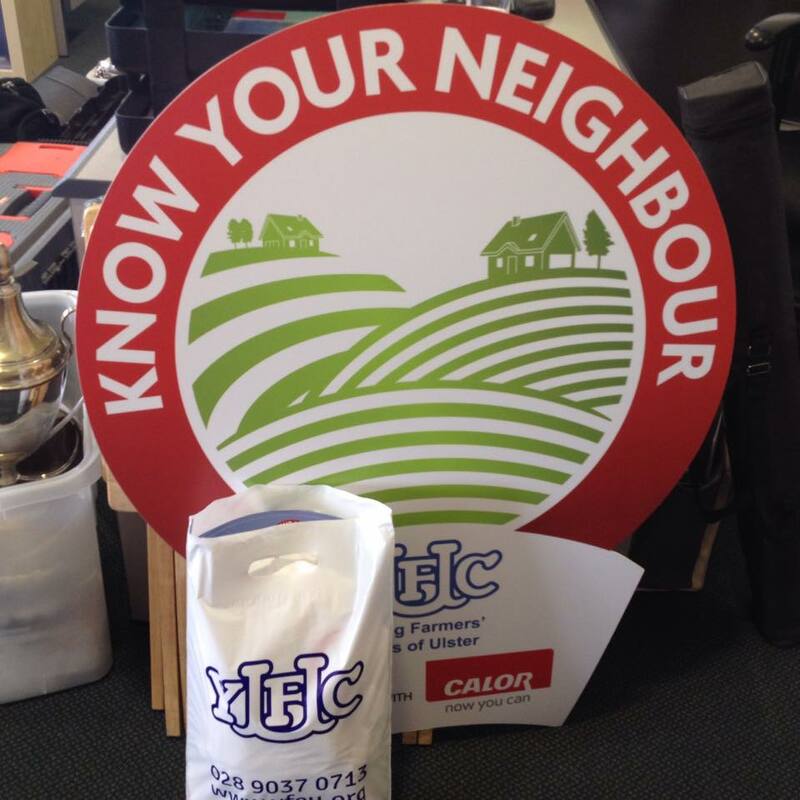 The Young Farmers Club recently took delivery of products to help them with their winter Know Your Neighbour event. Run in conjunction with Calor Gas the Know your Neighbours campaign will be supported by lots of Northern Ireland’s Young Farmers. Young Farmer Clubs have been encouraged distribute care packages to their neighbours. The Care packages are made up of biscuits, tea bags, a mug, and promotional materials such as t-shirts and posters. The Care packages will be shared with the local community. 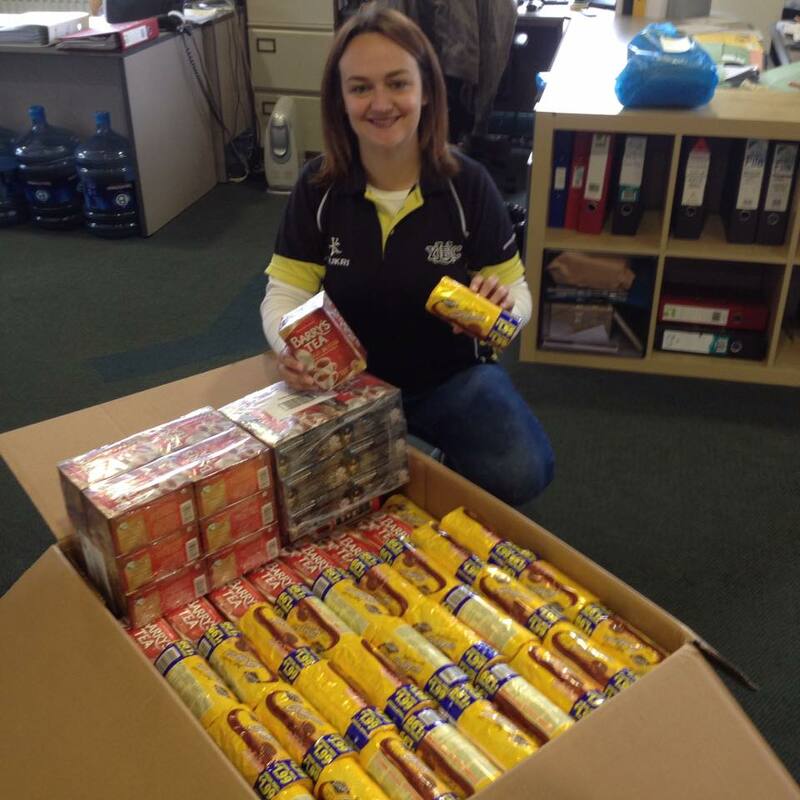 Care packages are available for Young Farmers clubs from the YFC HQ. Young Farmers’ Clubs of Ulster (YFCU) was founded in 1929 by W.S Armour with the first club being established in Limavady. Over 80 years later, YFCU is still going from strength to strength with approx 60 clubs throughout Northern Ireland. YFCU represents the interests and aspirations of approx 3,000 members aged 12 – 25 years of age. A further 3,500 rural young people are estimated to take part in and benefit from local Young Farmers’ Club activities and events. Click here to find out more about the Young Farmers Club in your area. A bog well done to the young people who are committed to sharing care packages as part of the Know Your Neighbour event.